The Nyingtik (Tib. སྙིང་ཐིག or སྙིང་ཏིག, Wyl. snying thig or snying tig) teachings are the innermost secret teachings of Dzogchen. The Dzogchen teachings were revealed to Prahevajra (Tib. Garab Dorje) by Vajrasattva, and passed down through an unbroken lineage to present day masters. Within the Dzogchen teachings, there are three categories of teachings suitable to students of different capacity. The Nyingtik is the innermost secret unsurpassed cycle of teachings (Wyl. yang gsang bla na med pa'i skor) of the Category of Pith Instructions; this cycle is the most direct approach for students of the highest capacity. The instructional teachings are elucidated and condensed in two major traditions of Nyingtik. 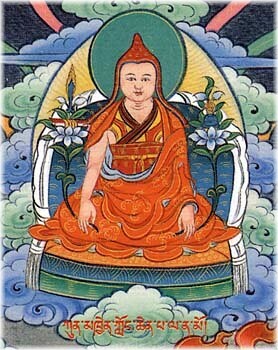 The first one is the detailed teachings for/of the scholars, brought to Tibet by Vimalamitra and known as Vima Nyingtik. It is mainly based on the Seventeen Tantras and the Troma tantra. In the fourteenth century in Tibet, the great master Longchen Rabjam became the lineage holder of both of these Nyingtik traditions, and wrote a commentary on each tradition (see Nyingtik Yabshyi). ↑ Tulku Thondup, Masters of Meditation and Miracles, edited by Harold Talbott (Boston & London: Shambhala, 1999), page 33.